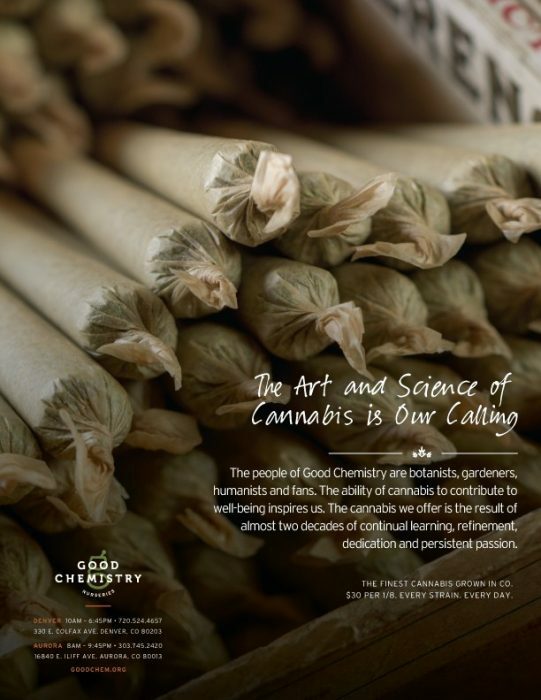 Good Chemistry, a producer of “craft cannabis,” has launched a new initiative with a new campaign and website on the heels of the launch of STATS, their consumer evaluation guide, similar to the multi-step process for evaluating wine. 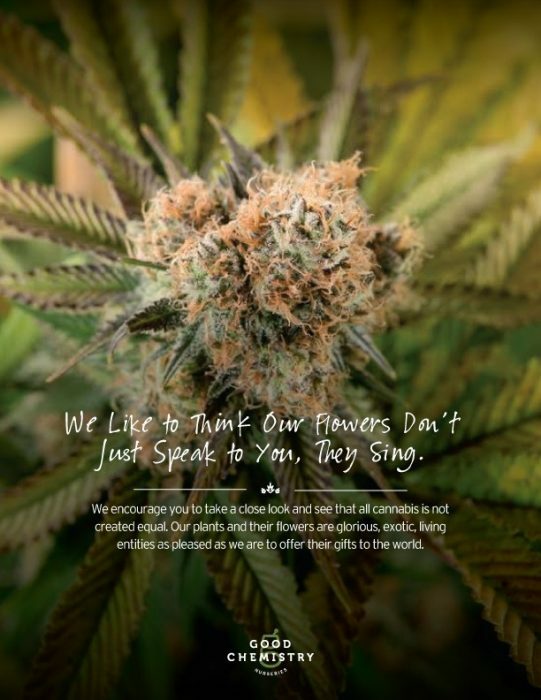 The new ad campaign showcases the people and the plants behind the finest flower grown in the industry. 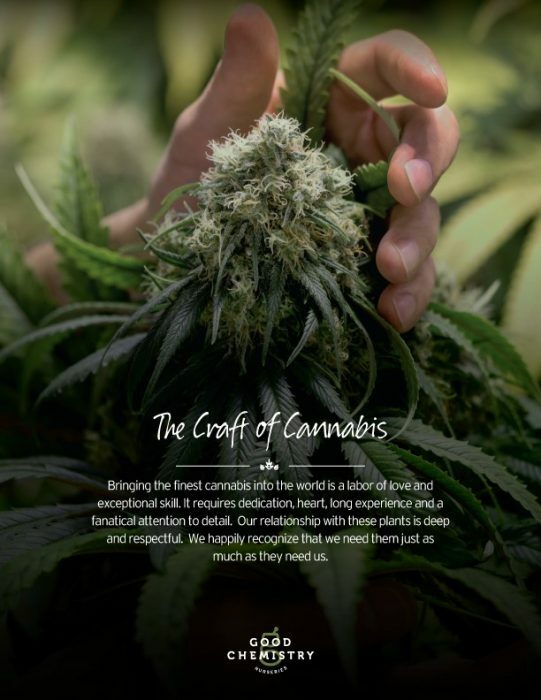 The Craft of Cannabis campaign was developed by branding expert Michael Markowitz, president of Michael Markowitz + Associates, whose clients have included, among others, Panera Bread, Anheuser Busch and Universal Studios. 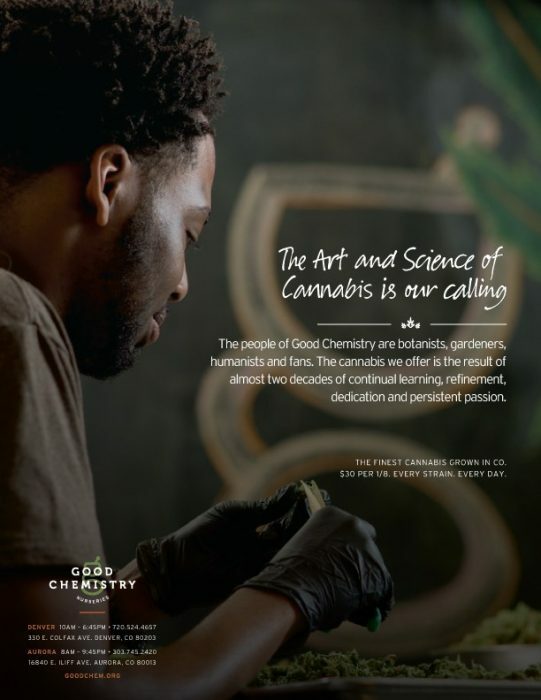 Vote for Good Chemistry “Craft of Cannabis” campaign here.